ECOLONES Costa Rica’s New Incentive for Recycling. Anyone who lives in Costa Rica or visits often can appreciate how daunting the problem of solid waste management is here. Most developing nations have the common challenges of deficient infrastructure and cultural barriers to the development of efficient and sustainable waste management practices, especially recycling. Costa Rica is no exception. For a nation with a “green” reputation, it seems incredible that 80 percent of what we throw away is recyclable but not always recycled. Compounding this problem is Costa Rica’s lack of landfill space, and specifically landfills that do not leak or leach into the water table. It is one of the larger and more serious problems you rarely hear about in travel or expat relocation brochures. Fortunately, there is more than just hope. Welcome to the new sustainable community where you technically get paid to recycle. 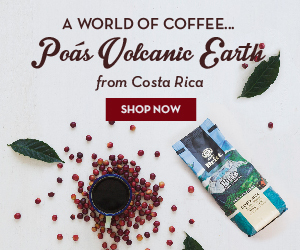 Visitors to the new Costa Rican ecolones website are thus introduced to an initiative that sounds ideologically futuristic and logistically mind-boggling, but is very much a reality and steadily gaining traction. For the same reasons that make the program name “ecolones” such a clever play on words (also known as eco lones, e-colones and similar variations), few could argue that its incentive elements add up to a win-win for participants, the country and the planet alike. Announced just a year ago in April 2018, ecolones is a recycling incentive program based on simple reward principles: you earn virtual money (ecolones) for all the recyclable materials you bring to a designated collection center that can be traded in for discounts on goods and services. Signing up for the program is easy at www.ecolonescr.com (a Spanish-only website, but still relatively user-friendly). An email address is all you need to create and log in to your online account, and start collecting rewards in return for recyclables. At the time of each delivery you make, credits are applied to your ecolones account. Your accrued ecolones can be redeemed for online purchases and retail sponsors who will accept ecolones account cards. Auto and tire stores, and movie theaters are just a few examples. For anyone who wants to recycle but has no clue what items are accepted and where to take them … or even how to find out, the answers are now just a few clicks away (see page 6). Even if you don’t sign up for the ecolones program, this is a terrific one-stop resource for knowing which recyclables are collected, and where. As an early program adopter, I give ecolones a thumbs up. Here is some firsthand insight into how well it’s worked in our household. After recycling for almost 30 years while living in the United States, we have also done our best to recycle since moving to Costa Rica almost eight years ago. In the beginning, the hardest aspect here was locating a place to take the recyclable items we were collecting. I applaud the ecolones program for one of its greatest and earliest achievements in clearing up that mystery! After gathering our items for a month or so, we separated them into the different types of materials taken. Then off we went to our local recycling center in Puriscal, which is part of the ecolones program. We waited for the collection team members to come out and told them we had recyclables to exchange for ecolones. They took down the email address for our ecolones account and after that, it was a matter of the collection team counting and recording total numbers in the notebook for every bottle, every can, every glass jar, and every Tetra Pak we delivered. After this first trip, we waited what seemed like a long time before the numbers finally appeared online in our ecolones account. On our second trip to the recycling center, the process was already a bit more streamlined. No doubt that trend will continue as the recycling centers and program participants get used to the concept. Pro tip : Categorize, count and total up all your recycling materials ahead of time on a list at home. When you drop the items off at the recycling center, simply present the list with your ecolones account email to the collection crew and you should be good to go. Where and how often we redeem our ecolones — perhaps to see a movie or get a great discount on tire alignment — is less important to us than the satisfaction of being able to do our part for a greener Costa Rica. It is nice to have this program and know that it really works. Well before the program’s first-year anniversary, more than 40,000 people with an ecolones account likely feel the same way and recycled more than 9.6 million units of recyclable waste. So if you have not been recycling, this is your reason to start, even if initially it’s just a “what and where” learning experience. Every bit helps to lighten the burden of trash in Costa Rica, making this paradise just a bit closer to reality. Within months of Costa Ricans being urged to give recycling their all through the newly launched ecolones incentive program, they had chalked up a world record: 30 metric tons of used plastic bottles — 65,000 pounds — collected and spared from a landfill fate in just eight hours. For a feat that would seem astonishing anywhere, tiny-but-mighty Costa Rica earned its rightful place in the Guinness Book of World Records for amassing the largest amount of recycling material ever collected in eight hours. An online news story about the December 7, 2018 event, organized by ecolones, is posted at: nacion.com. You can also check it out on the Guinness World Records site: guinnessworldrecords.com. Even without a good knowledge of Spanish, you should find all the information you need about Costa Rica’s nationwide recycling incentive program at www.ecolones.cr. The site is easy to navigate and the content is easily understood using graphic icons and translated text. It includes an informative FAQ section. Tetra Packs (now you can feel even better about emptying that Clos wine box!) along with Elopak (milk cartons). You will even find information on how to clean and flatten them. Where do I take the recyclable items? The ecolones website offers a comprehensive listing of location addresses, operating hours and contact information for ecolones recycling centers throughout Costa Rica. For each category of recyclable items, the sites are organized geographically by province. “Ordinary materials” are currently accepted at 60 recycling centers as follows (total number of locations in parentheses): San José (22), Alajuela (10), Cartago (eight), Heredia (seven), Guanacaste (six), Puntarenas (six) and Limón (one). Discarded electronic items are accepted at three Gollo store locations in San José, four in Alajuela and one each in Cartago, Heredia, Guanacaste, Puntarenas and Limón. Alajuela, Heredia, Guanacaste and Puntarenas each have a specified location for collecting recycled tires. Domestic oil is accepted at nine recycling sites: four in San José, two in Alajuela and one each in Cartago, Guanacaste and Puntarenas.